That color is pretty accurate in the photo. Though, the Goni was advertised at the normal ORA cultured type. Not really sure. I feel like all corals can morph into slightly different coloration depending on lighting & water parameters. Everthing is gorgeous. Awesome reef and breat color. Everthing is gorgeous. 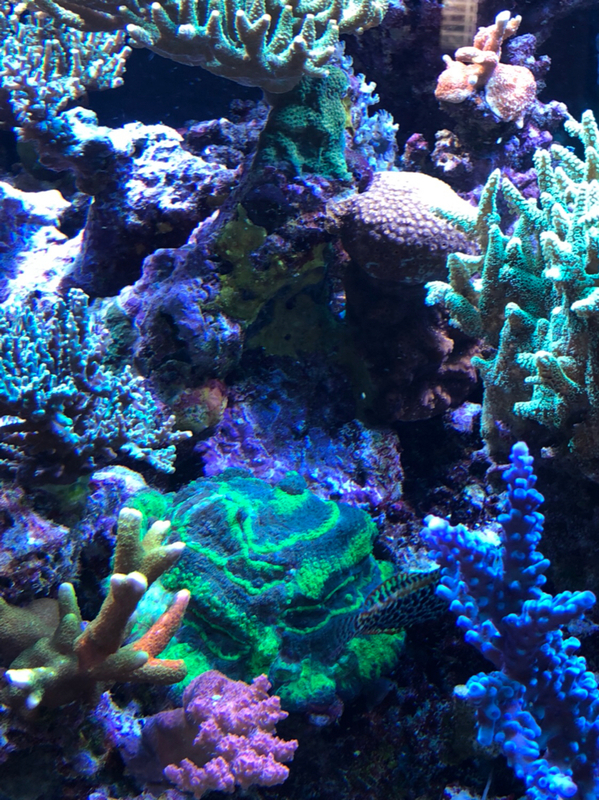 Awesome reef and great color. Last edited by reefrf; 12/18/2017 at 08:23 PM. Beautiful tank. It's inspiring me to upgrade from my 180, I have an opportunity to buy a 240 with stand at an excellent price. Just need to convince my wife. Doing some rearranging of some corals that have begun to shade others. 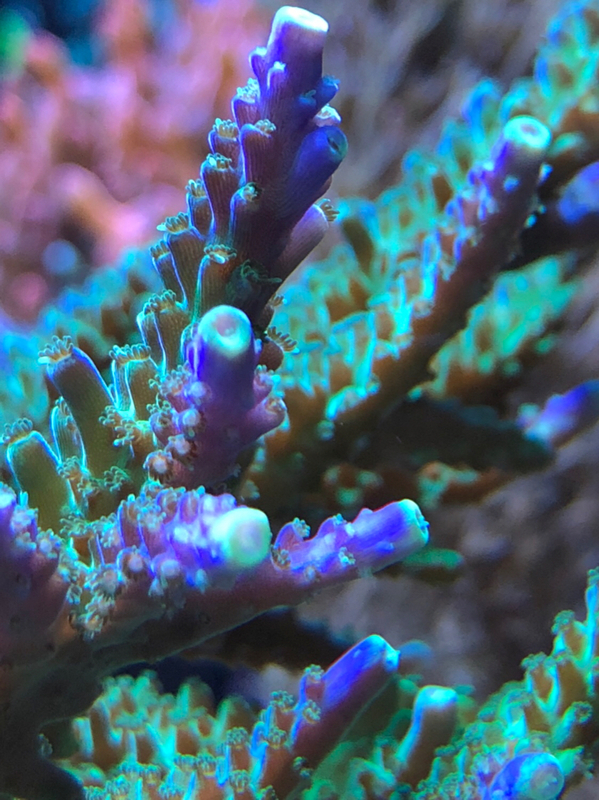 Some corals will actually get some light now! Last edited by reefrf; 02/24/2018 at 05:47 PM. 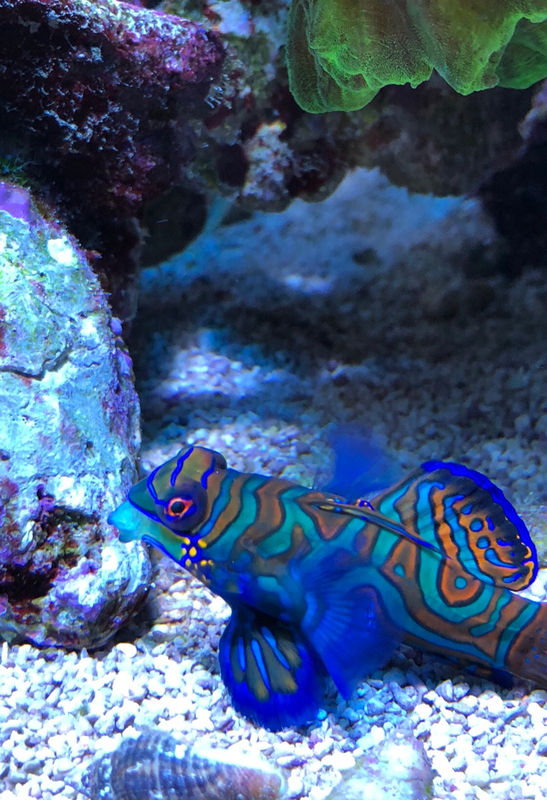 Just added a new Wrasse & a female dragonet (male pictured) to join her partner. Thanks for looking. Update: lost my female Picasso clown after 11 years. Pretty sad. Not sure why she died as she was fat & no other signs of illness. Picked this pair up soon after. My wife has always love these hybrids. Pretty cute don’t you think? Had to share my side views from today. Love this tank. One of my all-time favorites. What a great tank! How do you get a clean background like that. Do you clean it manually with a scraper? Thank you. I guess the power of photo editing. A friend at Reef Crest photography took the photo. All else in the photo is an accurate representation. Pacman & Red Planet colony. About 2 years old, grown from 2” frag. Wow! 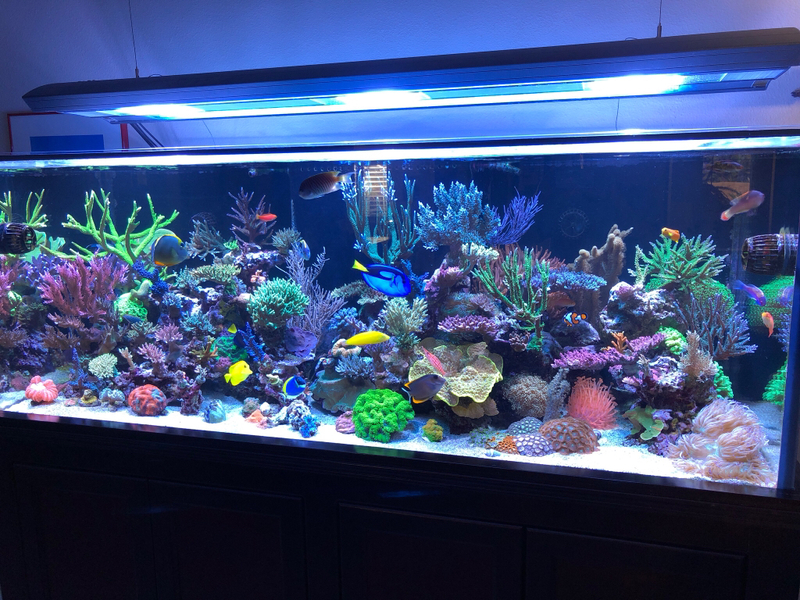 Great looking tank and I like how bright and colorful the reef looks. Great job. Beautiful tank! Did you new clowns have any issues with your remaining clown?